OPEN 7 DAYS A WEEK FROM 5 pm. All orders cooked from fresh! Average waiting time 30 minutes. ***May be longer during our busy time. 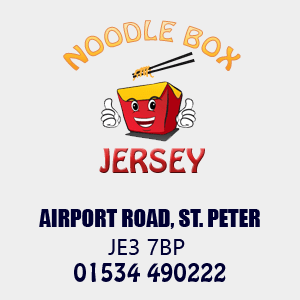 Copyright All Rights Reserved © 2019 Noodle Box Jersey. All images shown on this website are for illustrative purposes only. Actual product may vary due to product enhancement.